Uptrend Resumes! Trend for the Year Could be Decided this Week. After a slight pause week, the DOW resumed its recent uptrend having made a new 16-week high and closing on the highs of the week, suggesting further upside above last week's high at 17811 will be seen this week. Nonetheless, the DOW is nearing a level of resistance at 17977 that has not been broken since July of last year and that was tested every single week (between the third week of October and the last week of December) over a period of 11 weeks with highs each week up to at least 17607 but without the bulls being able to generate any further upside, meaning that the bulls are likely to need additional positive fundamental news to be successful in breaking above this area of resistance. It does need to be mentioned that the DOW has now rallied 2361 points over the past 11 weeks and is nearing the 2607 point rally seen last August-November from 15370 to 17977 that occurred over the same 11-week period of time. If the index gets up as high as 18057 this coming week, the rally amount will be exactly the same as seen last fall. Nonetheless, with the fundamental picture not as positive as it was in August when the Fed had not yet raised interest rates and the price of oil was at $45, it is going to be more difficult for the bulls to mimic that last rally. To the upside and on an intra-week basis, the DOW now shows decent resistance between 17907 and 17977. Above that level, resistance is once again decent between 18103 and 18133. To the downside and on an intra-week basis, the DOW shows very minor but pivotal support between 17399 and 17465. Below that level there is minor to decent support, as well as pivotal, between 17116 and 17138 that does include the 200-day MA, currently at 17125. The "big" question this week for the traders in the DOW is whether the 17977 resistance high seen in November will be broken or not. The bulls are committed to breaking that level as it would demonstrate that the "long-term" uptrend remains in place, having made higher lows on August (15370), January (15450) and February (15503), and as such making a higher high above the 17977 high seen in November would mean the index remains poised to resume the long-term uptrend at some point this year. Under such a scenario, a high at 18057 would likely be seen, mimicking the 2607 point rally seen in August. By the same token and on a possible negative note, if the bulls fail to break 17977 in the DOW on this rally, the multiple bottoms (4 lows at 15340, at 15370, and 15450 and at 15503) would once again become a magnet as it would suggest that the all-time high seen in May of last year at 18351 (and that was already successfully retested in November with the 17977 high) would now have a second successful retest, suggesting a downtrend may now be in place. Simply stated, the next week or two will be "all about" whether the 17977 level is broken or not, which in turn would give the traders a clear idea of what to expect the rest of the year. A break in the DOW above 17977 would still likely generate new selling as the resistance up around 18100-18130 is decent and not likely to get broken at this time. The guest analyst on Bloomberg TV last week expects a 5% correction to occur from these levels. Nonetheless, in my opinion, if the bulls fail to get above 17977 and the 5% correction occurs, the chart repercussions would be stronger as the multiple lows in the low 15000's would become a magnet. Probabilities favor some further upside this week but the odds are even as to whether the upside will include a new 9-month high or not. The NASDAQ generated a strong positive week, having gotten above the 200-day MA on Wednesday, currently at 4862, and then closing 3 days in a row above the line, confirming that it was a true break. In addition, the index closed above the 50-week MA on Friday, currently at 4898, for the first time in the last 13 weeks and closed on the highs of the week, suggesting further upside above last week's high at 4917 will be seen this week. The NASDAQ outperformed the other indexes having rallied 2.9% this past week, whereas the DOW and the SPX rallied 1.6% and 1.8% respectively, meaning that once again speculative buying is occurring as confidence increases that the uptrend could resume. Nonetheless and in spite of all the positives seen last week, the bulls in the NASDAQ still have one major obstacle in view in the form of the breakaway gap between 4926 and 4999 that occurred the first week of January and that represents the difference between the possibility of a downtrend the rest of the year or back to a sideways market, as seen last year. To the upside and on an intra-week basis, the NASDAQ shows minor resistance at the gap area at 4926 and then nothing until decent resistance is found at 4960. Above that level, resistance is minor at the top of the 5000 demilitarized zone and slightly stronger at 5088. Decent resistance is found between 5111 and 5119. To the downside and on an intra-week basis, the NASDAQ shows minor support at Friday's low at 4832 and then slightly stronger and more pivotal at 4764. Further support is found between 4607 and 4614. It is strongly evident in looking at the chart of the NASDAQ, as well as the charts of 3 of its main stocks (AMZN, AAPL, and NFLX) that this coming week could be pivotal. The index is at an important resistance level (the gap) and the other 3 stocks are all at important MA lines that if broken would likely generate new chart buying interest. The NASDAQ not only has a wide gap to fill (73 points) but has a decent intra-week resistance level at 4960 that also includes the bottom of the 5000 demilitarized zone (4970) that assuredly will offer selling interest from chartists. Nonetheless, having closed on the highs of the week and at 4914, it is evident that the gap area will be tested and likely gotten into as the week progresses and if so, the 4960 resistance will become where the battle will be fought. The big question for the week is whether the buying interest in Tech Stocks has come back or whether the rally so far has been mostly short covering. The other question is whether the gap will be closed or not. Failure to close the gap will be a big disappointment and likely mean that a downtrend for the rest of the year will occur. Probabilities slightly favor the bears. The SPX accomplished another chart positive on Friday, having closed above the weekly closing high seen in December at 2060 and totally erasing all the negatives seen since the beginning of the year. The index closed on the highs of the week and further upside above last week's high at 2075 is expected to be seen this week. Nonetheless, the SPX is now reaching a daily close resistance level between 2073 and 2081 that has been strongly short-term pivotal for the past 52 months, given that during this period of time that area has been either important short term support or resistance on 7 different occasions (4/17 - support at 2081, 5/6 - support at 2080, 6/8 - support at 2079, 7/7 - resistance at 2081, 8/7 - support at 2077, 12/16 - resistance at 2073, and 12/29 - resistance at 2079). With such a "long" and "repeated" chart history of being an important short term support or resistance level, it does suggest that once again the traders will be giving the area the same kind of importance now that the index has moved so much to the upside in such a short period of time. To the upside and on an intra-week basis, the SPX shows minor to decent resistance between 2076 and 2081. Above that level, there is minor to decent resistance at 2092/2093 and decent at 2104. Decent to possible strong resistance is found at 2116. To the downside and on an intra-week basis, the SPX shows minor support at Friday's low at 2043, again at 2028 and at 2022 that also represents the 200-day MA, currently at 2016. Further and longer term pivotal support is found at 1969. The SPX, like with the DOW, has an important chart factor ahead inasmuch as this rally could end up being a second retest of the all-time high at 2134 if the index fails to get above the November high at 2116. Nonetheless, on a weekly closing basis, that number is at 2099, meaning that the bulls only need to generate an additional 27 points to the upside (1.3% rally) for the weekly close to negate the downtrend presently in place. On the other hand, the SPX is also showing a multiple bottom at 1814, 1820, 1812 and 1810 that will once again be a target if the bulls fail to generate a break of the downtrend. The SPX is now showing 8 weeks in a row of higher lows than the previous week, meaning that last week's low at 2028 will be a determinant support level this coming week. It is evident that the SPX has reached a level where the battle between the bulls and the bears takes on some long-term meaning, given the chart factors in play and the meaning they have. The probabilities slightly favor the bears if only because the fundamental picture is no better than it was in November when the index was at these levels. The momentum to the upside resumed this past week after the important economic reports on Friday came out as expected, or very slightly better than expected. Nonetheless, the indexes are reaching levels of resistance that are long term indicative and with the fundamental picture no better than it was in November (last time these levels were seen) when oil was trading between $45 and $50 and the Fed had not yet raised interest rates, it does suggest that the bulls will have trouble extending the gains achieved from this point on. In addition and from a purely chart perspective, the bulls have rallied the indexes more than 13% from the year's lows and have done it without any retest of that lows being seen (9 weeks in a row of higher lows than the previous week) and given that they are reaching levels of resistance that held the indexes in check for most of the last 52 weeks, it does not make a lot of sense to think the bulls will continue to have the kind of success they have had the last 2 months. There are no economic reports scheduled for the week that could be catalytic and with oil closing on the lows of the week and further downside expected to be seen, it does suggest that the bears will start to have some success this coming week. All mentions this week are sales as the indexes are at levels where longer term trend decisions will likely to be made and with the fundamental picture less attractive than it was at the end of the last rally in November, the probability favors the bears. LVLT made a new 12-week weekly closing high on Friday but the bulls showed a tiny bit of weakness when they were unable to break the intra-week high made 3 weeks ago at 53.34 (got up to 53.20 last week). In addition, the bears were able to keep the stock somewhat in check, having closed just $3 above the $50 level, meaning that the "general" resistance held up on Friday. LVLT closed on the highs of the week and further upside above last week's high at 53.20 is expected to be seen but with some intra-week resistance at 53.34 and decent as well as long term pivotal trend resistance found at 54.72, the stock needs to be considered a viable short-term sale at this level and time, especially considering the same scenario is being seen in the index market. LVLT has done the same thing as the indexes, having rallied straight up for the past 8 weeks from the low seen in February at 41.73. Every single week the stock has shown higher lows, meaning that no support has been built on the way up, also meaning that when selling interest is found, a correction of some consequence is likely to be seen. To the upside and on an intra-week basis, LVLT shows minor resistance at 53.34, and at 54.02 and decent as well as pivotal resistance at 54.72. To the downside and on an intra-week basis, LVLT shows minor to perhaps decent, as well as short-term pivotal support between 50.28 and 50.47. Further minor but also likely short-term pivotal support is found at 49.52 that does include the 200-day MA, currently at 49.45. Nonetheless, on the weekly chart, no support is found until the 46.65/47.02 level is reached. Additional and possible mention target support is found at 43.62. LVLT is fundamentally bullish but the stock has consistently failed to reach stated research analyst upside objectives, meaning that there is some problem that still needs to be resolved before the stock starts ascending to the levels that many analysts have expected the stock to reach for the past year or two, such as the $65 objective mentioned after the last earnings report. Additionally and on the negative side, LVLT is showing a 3-point downtrend line on the daily closing chart with the line presently at 53.50 and a 2-point downtrend line on the weekly closing chart with the line presently at 53.75, meaning that for the bulls likely need some positive fundamental news, or help from the indexes, to claim any kind of success for further short-term upside. To the downside, LVLT has 3 possible objectives with the first being highly likely to be reached at the $50 demilitarized zone. The second objective is the 46.65-47.00 level where some previous intra-week support of some consequence is found, making it the most viable downside objective of them all. The last downside objective is the 43.62 that is only likely to be reached if the indexes fail this week and begin to target the multiple bottoms found on the DOW and the SPX. Sales of LVLT between Friday's close at 53.06 and up to 53.75 and using a stop loss at 54.82 and having an objective if 47.00 will offer a 4-1 risk/reward ratio. My rating on the trade is a 3 (on a scale of 1-5 with 5 being the highest). PHM is a homebuilder that I shorted a few weeks ago but decided to cover the shorts after a few points loss due to the strength being seen in the indexes. PHM broke the 200-week MA to the downside in early December in spite of the building industry improving and the indexes rallying at the end of the year, suggesting that the uptrend was over before the market "took it on the chin" in January. It should be noted that the 200-week MA, currently at 18.62, has been a "great" indicator of trend in the stock for the past 20 years. PHM has been trading back up to the 200-week MA for the past 3 weeks but in spite of the continuing rally in the indexes, the bulls have only been able to generate 1 minor close above the line out of the last 3, likely meaning the bears are still in control of the long term trend and that re-instating the short makes sense. In addition to the 200-week MA resistance, PHM got up to the 200-day MA on March 18th, currently at 18.80, and back up to it on Thursday and the bulls have been unable to break it yet. Given that the probabilities favor the indexes finding a top to the recent rally this coming week, it seems that a short position in the stock is once again "the way to go". To the upside and on an intra-week basis, PHM shows minor to decent resistance at 18.82 and then nothing until very minor resistance is found at 19.27. Further and slightly stronger resistance is found between 19.69 and 19.81 and then of course, the psychological resistance at the $20 demilitarized zone. To the downside and on an intra-week basis, PHM shows minor to decent but likely short-term pivotal support between 17.59 and 17.80 that does include the 100-day MA, currently at 17.60. Below that level, there is minor but once again pivotal support at 17.08 that if broken would likely take the stock down to at least the 16.56 level that will be the main objective of the mention. It is evident based on the long term success of the 200-week MA being support or resistance that the bulls will need positive fundamental news to break the line, especially considering that the line was broken to the downside without any help from the indexes or from news. PHM reports earnings on April 21st but the last report was better than expected and it did not affect the stock at all, meaning that earnings may not be what the stock needs. Sales of PHM between Friday's closing price at 18.42 and up to 18.53 and using a sensitive stop loss at 18.92 and having a 16.56 objective will offer a 4-1 risk/reward ratio. COF broke below the 200-week MA the first week of the year and with the line currently being at 70.95, the bulls have been trying to negate the break the past 5 weeks, having been up to the line each of those weeks, but closing above the line only once during this period of time. With the indexes having shown rally power the last 5 weeks, the fact that the bulls in COF have been unable to negate the break of the line over a 5 week period of time is a bearish statement, especially this week when it is expected the indexes will start moving back down. COF did generate a positive reversal this past week, having made the first lower-low-than-the-previous-week in the past 8 weeks but then closing in the green and near the highs of the week, suggesting further upside above last week's high at 70.97 will be seen this week. By the same token, the fact the stock got below the previous weeks low but the indexes didn't, does suggest selling interest of some consequence is being seen and that whatever rally the bulls can concoct this week will likely be met with strong selling interest. To the upside and on an intra-week basis, COF does show some minor resistance at the recent high at 71.39. Above that level, there is no intra-week resistance until 72.99 is reached but that resistance looks to be somewhat pivotal for the future outlook of the stock as it represents the "general" resistance found $3 above a major level such as $70 has proven to be. To the downside and on an intra-week basis, COF shows minor support at last week's low at 67.58 that is further strengthened by an important spike low seen in August at 67.73. Below that level, there is minor support at 63.45 but in looking at the weekly chart, no support of consequence if found until the $60 demilitarized zone if the $67 level of support is broken. The short mention in COF is mostly based on the inability of the bulls to get above the 200-week MA and establish a foothold above the line for the past 5 weeks, as well as the probability that the indexes will start heading lower this coming week. In addition, the stock is likely to generate a rally at the beginning of the week, meaning that a good entry point is likely to be found which will keep the risk down but give a good risk/reward ratio. Sales of COF between 71.12 and 72.16 and using a stop loss at 73.35 and having an objective of 63.00 will offer a 4-1 risk/reward ratio. My rating on the trade is a 3.5 (on a scale of 1-5 with 5 being the highest). Status of account for 2007: Profit of $9,758 per 100 shares after losses and commissions were subtracted. Status of account for 2008: Profit of $14,704 per 100 shares after losses and commissions were subtracted. Status of account for 2009: Profit of $7,523 per 100 shares after losses and commissions were subtracted. Status of account for 2010: Profit of $24,045 per 100 shares after losses and commissions were subtracted. Status of account for 2011: Profit of $3,616 per 100 shares after losses and commissions were subtracted. Status of account for 2012: Profit of $3,399 per 100 shares after losses and commissions were subtracted. Status of account for 2013: Profit of $15,886 per 100 shares after losses and commissions were subtracted. Status of account for 2014: Profit of $21,221 per 100 shares after losses and commissions were subtracted. Status of account for 2015: Profit of $19,190 per 100 shares after losses and commissions were subtracted. Closed positions with increase in equity above last months close minus commissions. Closed positions with decrease in equity below last months close plus commissions. Open positions with increase in equity above last months close. Open positions with decrease in equity below last months close. Status of trades for month of March per 100 shares on each mention after losses and commission subtractions. Profit of $9566 using 100 shares traded per mention. AA generated an inside week and an uneventful close, suggesting the traders are waiting to see what the indexes do before making any decisions. By the same token, the stock remains in a long-term downtrend, meaning that the bulls have the onus on their back and are the ones needing positive fundamental changes to renew the recent 11-week uptrend. Resistance remains strong and pivotal at 10.22/10.30 and support decent and also pivotal at 9.00/9.04. A break below 9.00 would strongly suggest that a drop down to the 7.81-7.99 level will be seen. Probabilities favor the bears. AAPL extended its 6-week rally and got up to the 100-week MA, currently at 110.55, with a high last week at 110.42. The stock closed on the highs of the week and further upside above 110.42 is expected to be seen. Nonetheless, the stock is facing a couple of important resistance levels close by above, given that the 200-day MA, is currently at 111.40, and that the high for the past 15-weeks is found at 112.80, which in turn also represents a runaway gap. With the indexes likely to find resistance of consequence this coming week, it is unlikely that the stock will be able to do much above these resistance levels. Pivotal support is now found at 107.00/107.31. Probabilities favor the stock moving up at the beginning of the week and then turning down before the end of the week. I am planning on withdrawing my stop loss at 110.52 and going with no stop loss until more direction becomes evident. ADSK generated a positive reversal week, having gone below the previous week's low and then above the previous week's high and closing in the green and in the upper half of the week's trading range. Nonetheless, the positive reversal all happened on Friday as the stock got up to a minor to decent intra-week resistance level at 59.42 on Wednesday (got up to 59.34) and then fell 6.8% on Thursday and Friday before recovering to generate a green weekly close, suggesting that the recovery was "all due" to the index rally and not to anything particular to the stock. The chart parameters seem to be set with 59.42 (and up to 60.30) being the upside resistance and 55.34 and down to 54.57 (low for the past 4 weeks) being support. On a weekly closing basis, the 100-week MA, currently at 56.10, seems to be strongly pivotal. The line has proven to be important in the past and seems to continue to be important now. Probabilities favor the bulls this week. AMT made a new 16-month intra-week high this past week and closed just 52 points below its all-time daily and weekly closing high at 105.02. The stock closed on the highs of the week and further upside above last week's high at 104.82 is expected to be seen. The all-time intra-week high is at 106.35 and the probabilities favor the index getting up near to that level at some point this week. Nonetheless, it is going to be difficult for the bulls to close above 105.02 any day without the help of the index market. By the same token, having closed above the previous high daily close at 102.90 and above the previous high weekly close at 102.23, it does mean that the possibilities of the stock getting into a longer term downtrend have disappeared, meaning that new downside objective of the mention is probably only $95, with a slight possibility of $90 being reached. On a very short-term basis, pivotal support is now found at Friday's low at 101.87. If that level is broken, the rally seen on Friday will be negated. Probabilities do favor the bears this week, at least as far as a negative reversal occurring (higher highs than last week but a red close next Friday). ARNA had an inside week but did extend its gains on a weekly closing basis, having closed in the green and on the highs of the week, suggesting further upside above last week's high at 2.02 is likely to be seen. The 2.05/2.07 level of minor but short-term pivotal level of resistance has held so far but if broken there is "open air" until 2.25 is reached. The chart continues to suggest that the stock is in a short-covering phase that will take it up to the 200-day MA, currently at 2.46 before the sellers are able to generate any new selling interest. Support is decent and pivotal at 1.70/1.72. Probabilities continue to favor the bulls this week. CLB made a new 4-week low on Friday and closed on the lows of the week, suggesting further downside below last week's low at 107.37 will be seen this week. In addition, the stock closed below the 200-day MA for the first time in the past month (21 trading days), suggesting that if confirmed with another red close on Monday that the recent uptrend has ended and that the traders will be looking for downside objectives to target. The stock is still showing an unclosed gap between 103.15 and 103.81 that will be targeted for closure should further downside be seen this week. Nonetheless, support is not found until the $100 demilitarized zone is reached and even then that support is considered minor. Likely downside target for the stock is anywhere from a minimum of 98.21 to a likely maximum of 94.36 with 95.77 being the most probable objective. Resistance that could be short-term pivotal is found at 112.00. Any rally above 115.74 would now be considered a decent positive. Probabilities favor the bears. ENG had another uneventful week but the stock continues to tally positives inasmuch as the stock has now closed above the 200-day MA, currently at 1.08, on 17 out of the last 20 days and has now established itself on the positive side of the line, suggesting the probabilities strongly favor the bulls for further upside, rather than the bears for further downside. The stock is also showing a bullish flag formation with the flagpole being the 6-day rally from .79 to 1.24 and the flag being the trading range the past 20-days between 1.00 and 1.24. A break above the top of the flag at 1.24 would offer an objective of 1.45, which is close to where the 200-week MA is currently at, at 1.40. What the bulls now need to accomplish to generate new chart buying is to close above the 50-week MA, currently at 1.16 on a Friday. The 50-week MA has not been broken on a weekly closing basis for the past 16 months, even though the stock has been above the line on 3 of the last 5 weeks. A close above the line would be a clear signal that the downtrend is over, which would likely cause more short-covering to occur. Intra-week resistance remains decent and likely longer term pivotal at 1.31, given that the level was a major low seen in October 2014 that when broken to the downside generated the sell interest that took the stock down to the .68 level and a downtrend that lasted 7 months. A weekly close above 1.31 will not only give a failure to follow through but would likely bring about not only short-covering but a spike in volume. The chart looks supported at this time and the probabilities favor the bulls continuing to chip away at the resistance above. Any drop below 1.00 would now be considered a decent negative. FCEL generated another uneventful week but did generate another red weekly close and on the lows of the week, suggesting further downside below last week's low at 6.50 will be seen this week. The 200 60-minute MA is currently at 6.49 and that is a line that has not been broken to the downside for the past 5 weeks, suggesting that the low for this coming week might only be by a few points below last week's low at 6.50. Important and pivotal intra-week support is found at 6.10 that is unlikely to be broken. The stock chart does suggest that this coming week the recent uptrend might resume, with the stock fulfilling its chart requirements for a low below last week's low but the new buying interest being seen. Minor intra-day resistance if found at 7.10 that if broken would suggest the stronger resistance at 8.08 will be targeted. Stronger and more meaningful resistance, but on a daily closing basis, is found at 8.50, which is where the 200-day MA is currently located. The chart suggest that the MA line will be touched sometime over the next week or two but that it will not be broken the first time around and that it will take anywhere from 1-2 months of backing and filling before the line is broken convincingly and the bulls can safely say that the downtrend is over. T confirmed the new all-time intra-week and weekly closing high made last week, having made a new all-time intra-week high at 39.72 as well as a new weekly closing high at 39.05. Nonetheless, even though the stock closed in the green on Friday, it closed slightly in the lower half of the week's trading range, suggesting that some selling interest is likely to be seen this week and that a drop below last week's low at 38.61 is the most probable course of action for the week. As it is, the bottom of the $40 demilitarized zone was reached this week (got up to 39.72) and given that the last time the stock made a new all-time high in April 2013 it only beat the previous all-time high by 42 points (51 on a weekly closing basis), suggests that this new all-time high made now has a high probability of suffering the same fate. The last time this scenario happened, the stock got into a downtrend for the next 11 months from 39.00 to 31.76. The chart looks very similar to what happened then, especially the fact that the stock has moved straight up without any pause for the past 9 weeks. As such, unless the bulls can take the stock above $40 on a convincing basis, I have to believe that this new high will meet the same selling interest as what happened in 2013. Short-term pivotal support is found at 38.34 that if broken could be seen as the "first domino falling" as there is no established support of consequence below until 36.43/36/63 is reached and even then that support is considered minor. Probabilities now favor the bears. 1) FCEL - Averaged long at 2.2275 (4 mentions). No stop loss at present. Stock closed on Friday at .546 (new price 6.56). 2) ENG - Averaged long at 1.92 (3 mentions). No stop loss at present. Stock closed on Friday at 1.11. 4) T - Shorted at 39.65. Averaged short at 39.085 (2 mentions). No stop loss at present. Stock closed on Friday at 39.05. 5) ARNA - Averaged long at 3.725 (4 mentions). No stop loss at present. Stock closed on Friday at 1.98. 6) ADSK - Averaged short at 55.895 (2 mentions). No stop loss at present. Stock closed on Friday at 57.77. 7) CLB - Shorted at 114.93. Stop loss now at 115.84. Stock closed on Friday at 108.31. 8) AAPL - Shorted at 109.10. No stop loss at present. Stock closed on Friday at 109.99. Join The Oasis and receive chart information about stocks you personally follow as well as ideas about other stocks with powerful chart patterns. 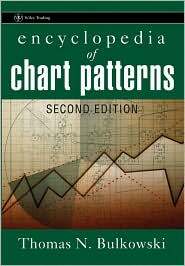 A must have for chart aficionados! The opinions and commentaries by Mr. De Vito are not a recommendation to buy or sell, but rather a charting guideline, based on his own knowledge and experience, regarding the stocks he is following or that are brought to him by others. Mr. De Vito does not presently offer a track record of his trading experiences. No inference of success and/or failure should be assumed. The information enclosed above, regarding his background, length of trading, and experience, is correct but is not meant to suggest, state, or infer any future success in trading, based on his opinions. The information herewith included should only be used by investors who are aware of the risk inherent in securities trading. Mr. De Vito accepts no liability whatsoever for any loss arising from any use of the information and/or comments he supplies.